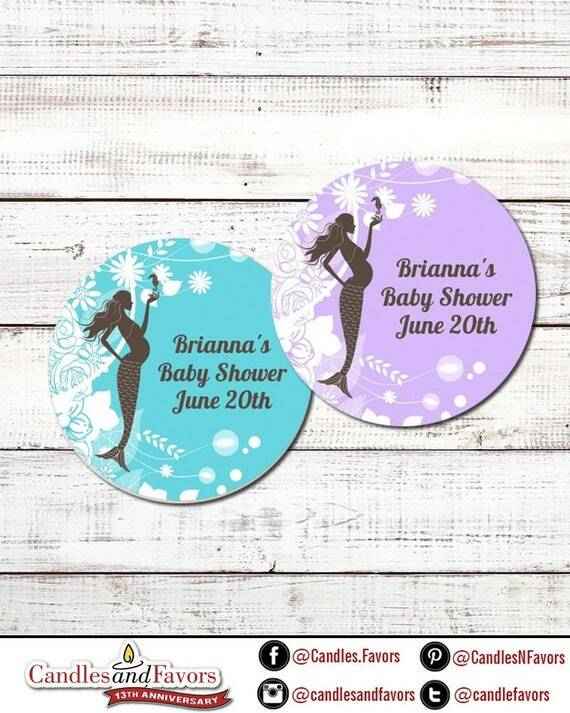 Our Mermaid Mom personalized round sticker labels are the perfect way to add a little style to a "do it yourself" baby shower project, store-bought favors or even a baby shower gift. 1. Stickers are printed on high quality matte labels with a strong adhesive backing. All you have to do is peel and stick!